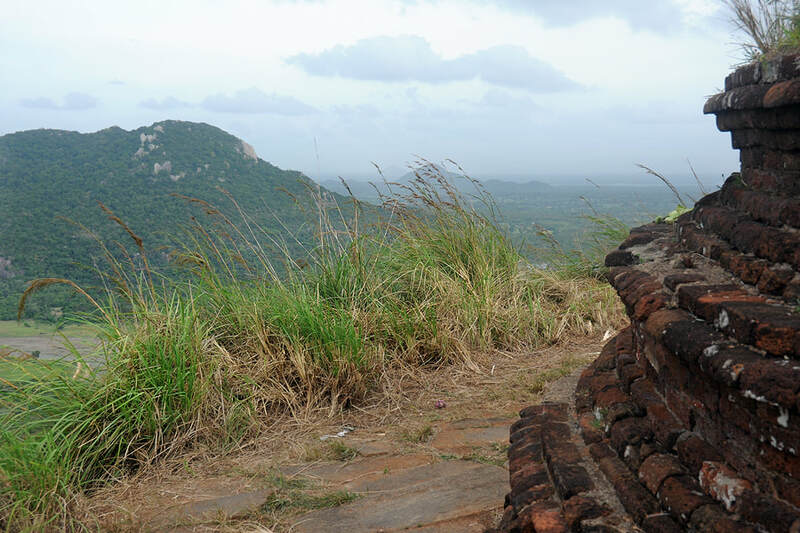 Mihintale is the name of a town and of a group of hills situated 13 km east of of Anuradhapura. 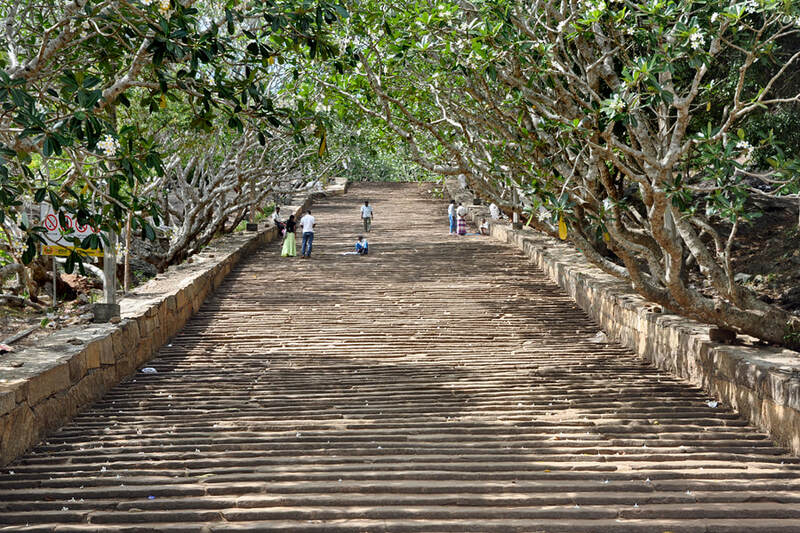 Mihintale is prowd to be called the "the cradle of Sri Lanka's Buddhism", since it was at Mihintale that the ordinated Buddhist Monk Mahinda from Indian met the king of Anuradhapura for the first time and impressed him so much that the king and his family and his subordinates converted to Buddhism soon afterwards. 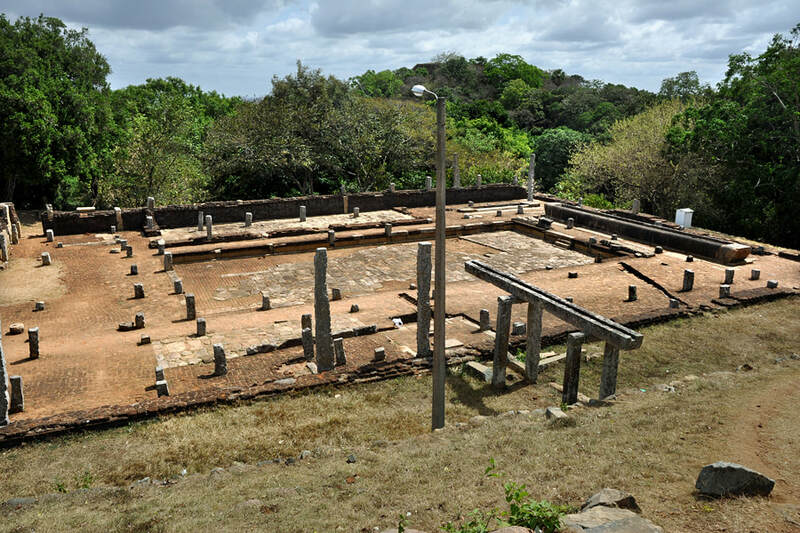 The very first dialogue with Mahinda took place on a full moon day in the month of Poson (June) in the mid 3rd century before Christ. 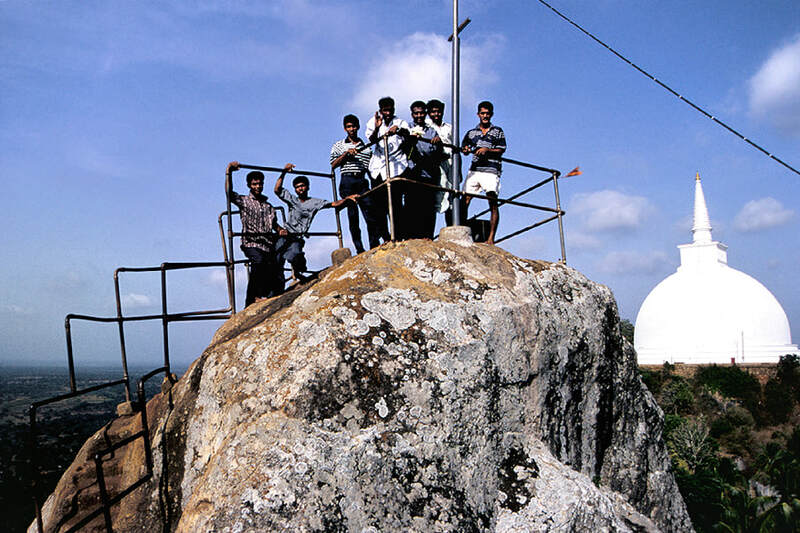 The very spot is marked by the Ambasthala Dagoba. 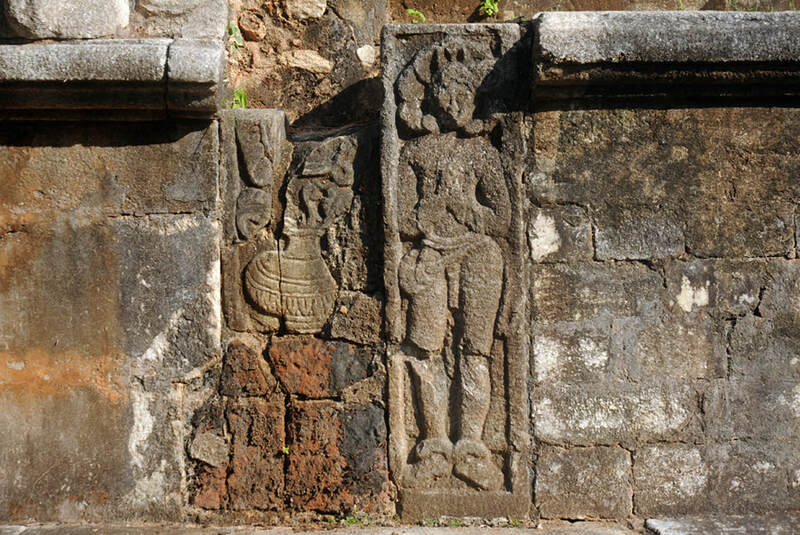 The name of the king, "Tissa", was changed to "Devanampiyatissa" after his conversion. 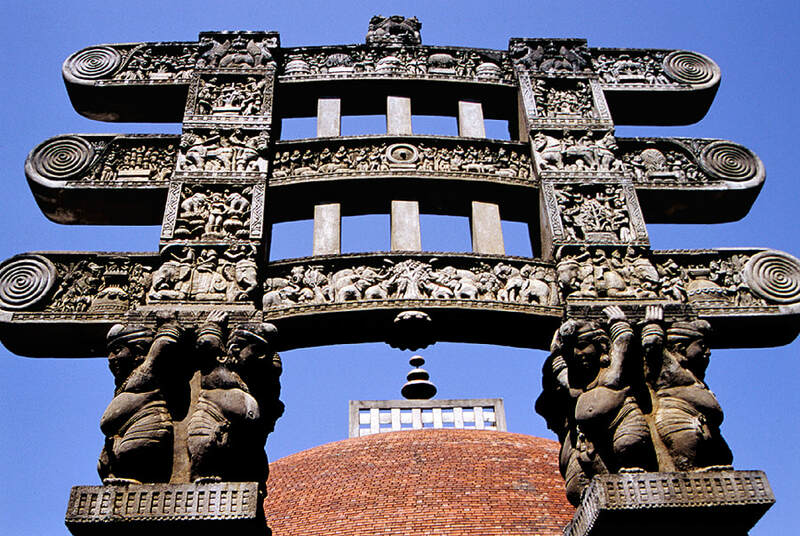 "Devanampiya", which translates to "God's beloved" was the name Emperor Ashoka used in his official anouncements. 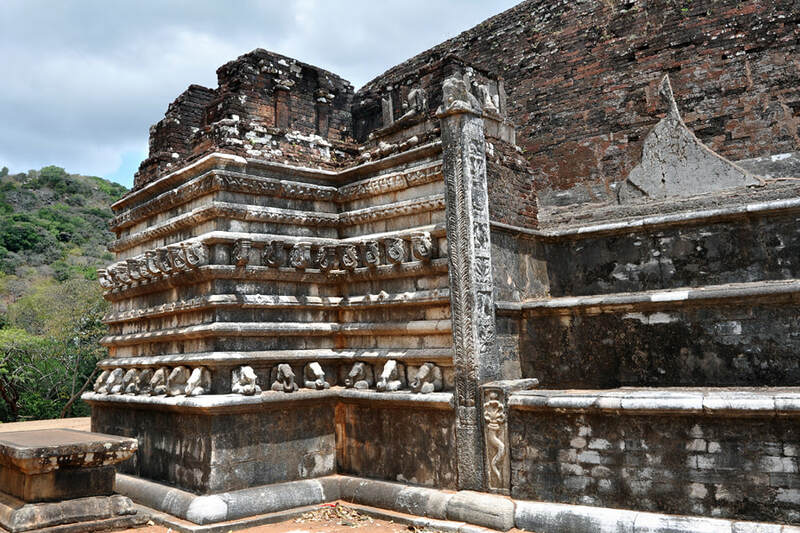 According to the Sri Lankan chronicles, Ashoka was the father of Monk Mahinda. 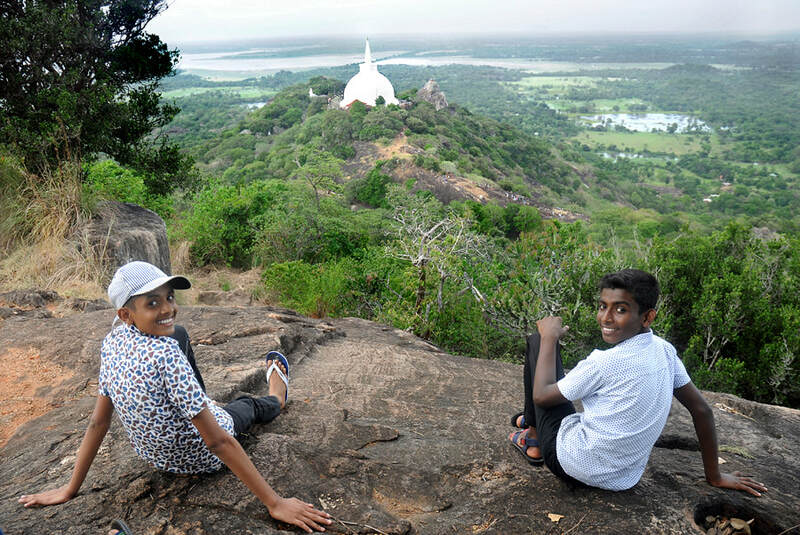 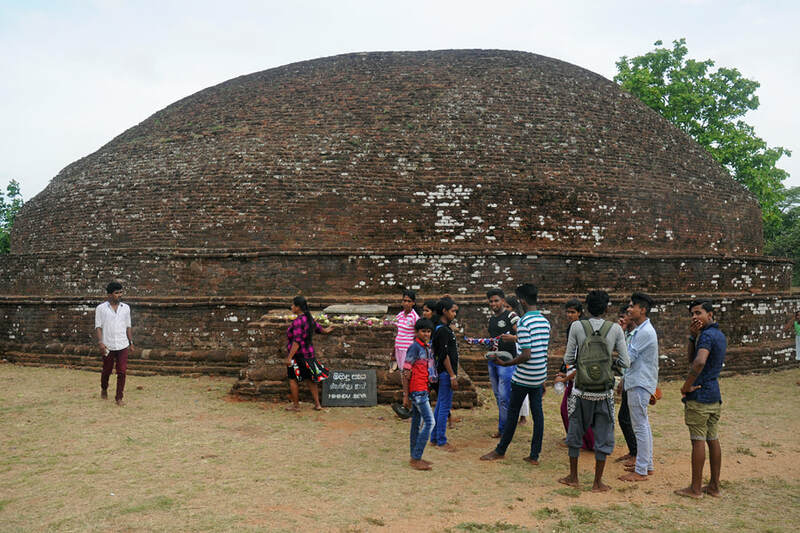 On the touristic map, Mihintale seems to be an attraction of secondary importance to the nearby World Heritage Sites Anuradhapura, Polonnaruwa, Sigirya, Dambulla. 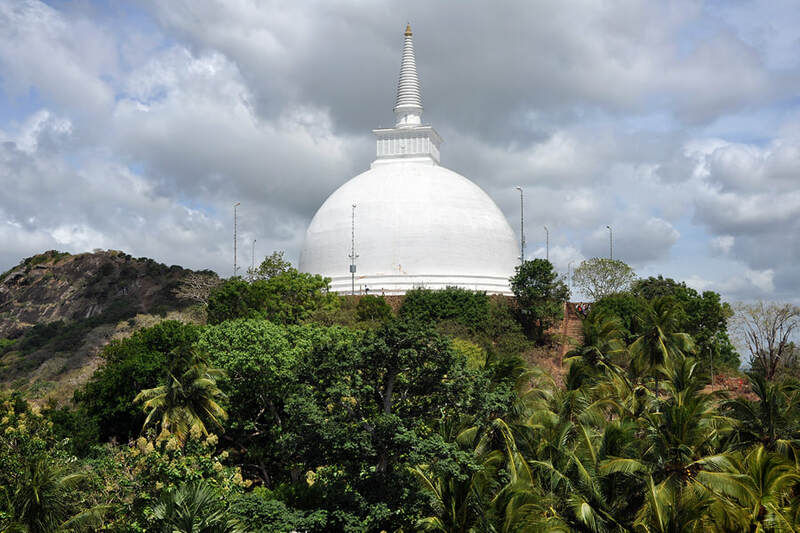 Only half of those Sri Lanka itineraries offered by foreign companies that include Anuradhapura also visit Mihintale. 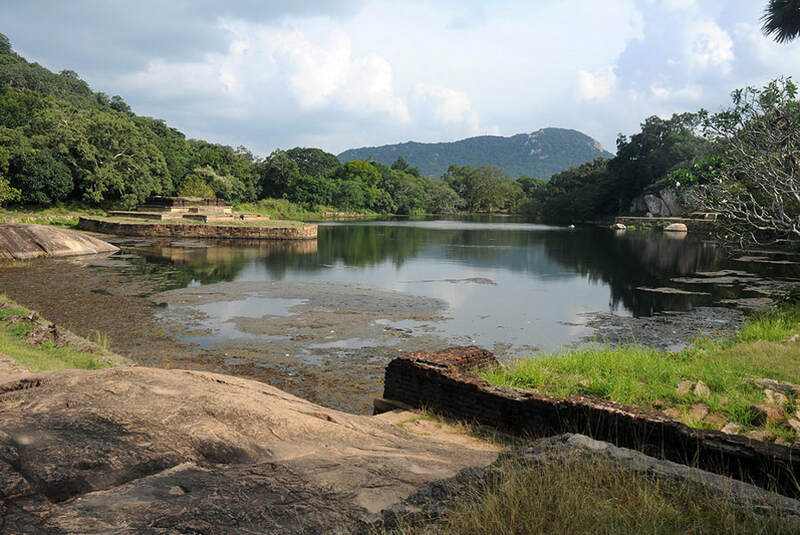 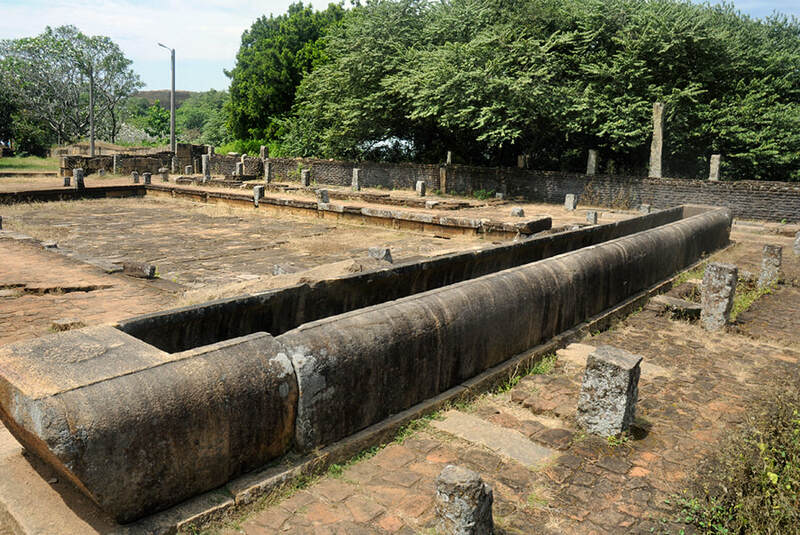 But though not a World Heritage Site in itself at this point in time, Mihintale should be counted as one of the Top 5 places of interest in Sri Lanka's Cultural Triangle. 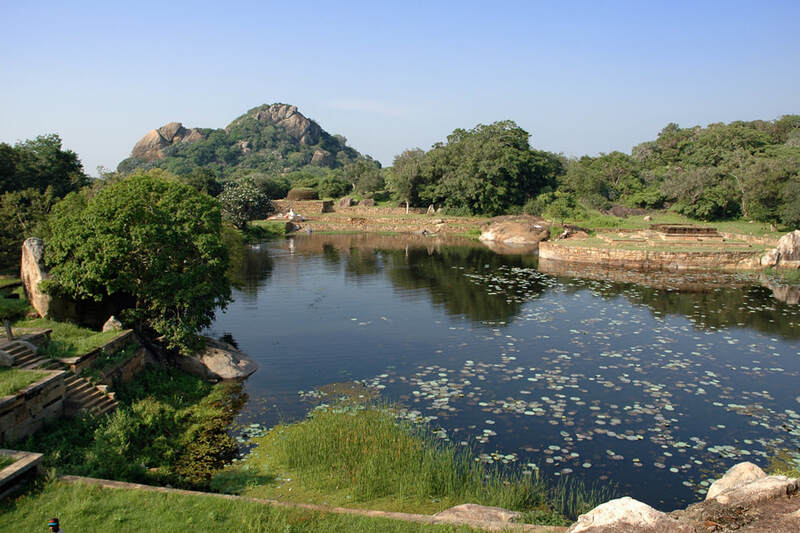 Many foreigners reading international guide books underestimate the number and variety of attractions Mihintale has to offer and the time required to see them. 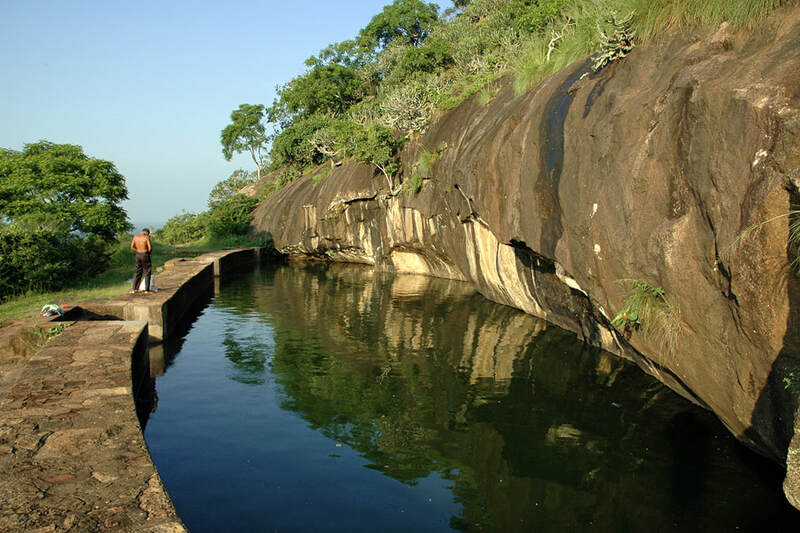 You can spend an entire day to explore Mihintale, your itinerary would be fully packed. 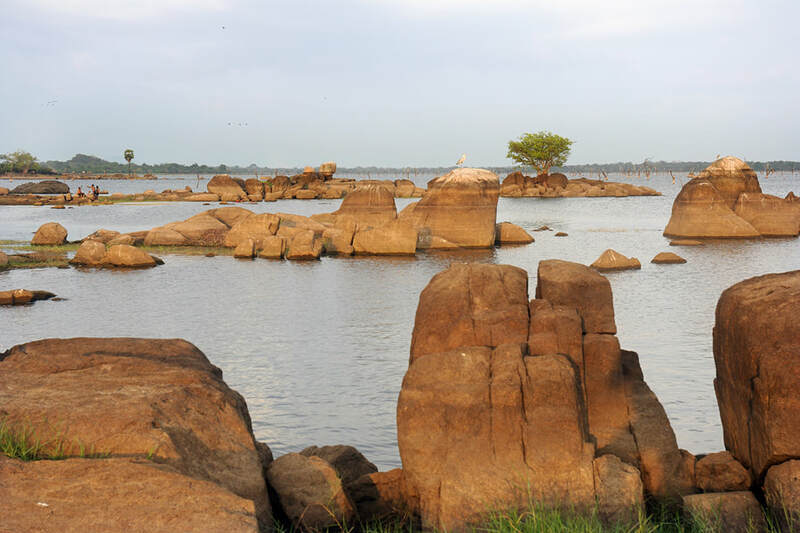 In order to see all places of interest of the Mihintale area, one and a half days are just enough or two days are more suitable for a relaxed holiday tour. 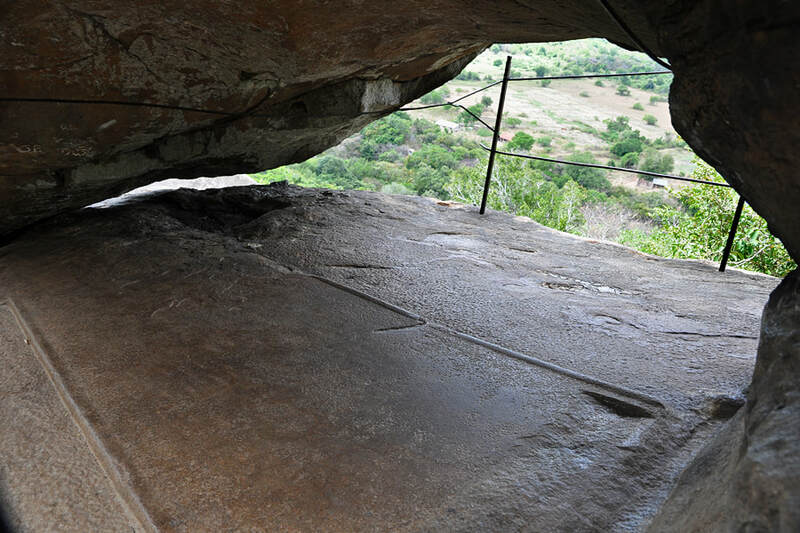 We know, first-time visitors don't believe this and consider it to be hust a promtion claim. 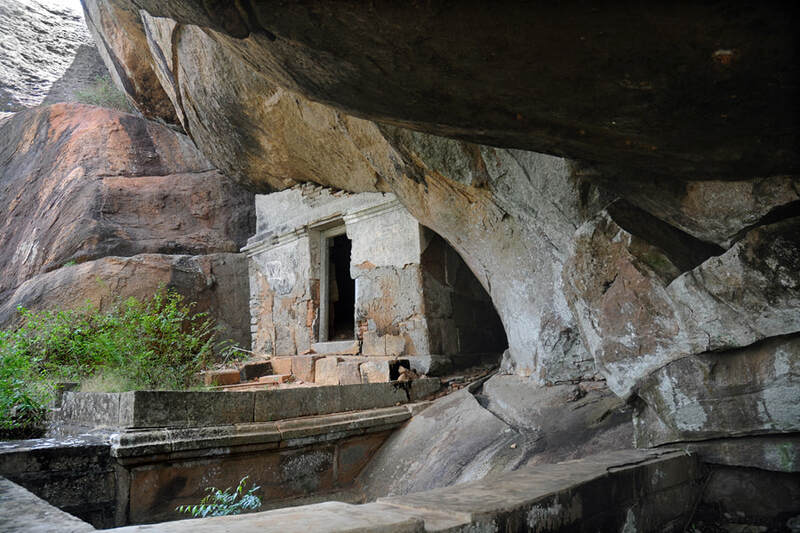 However, those experienced Sri Lanka travellers who enjoyed our guiding to the hidden gems of Mihintale, too, can confirm, this timeline recomendation is not at all an exaggeration. 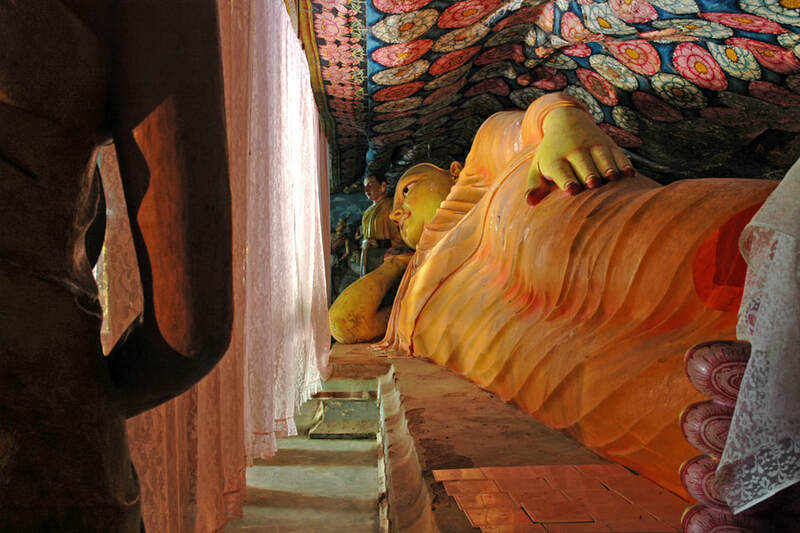 We offer a variety of guided tours, sightseeing, hiking, cycling, trips by tuktuk or car, picnic. 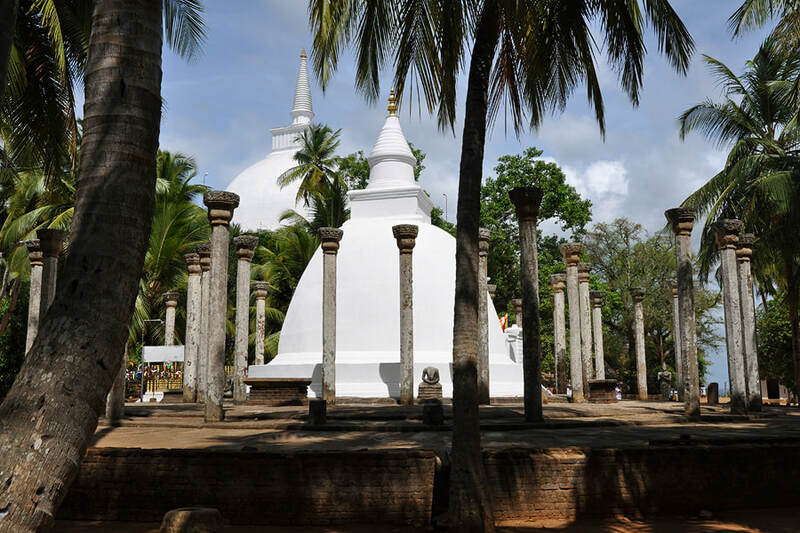 Pick-up service from any place in Anuradhapura and surroundings can be provided. 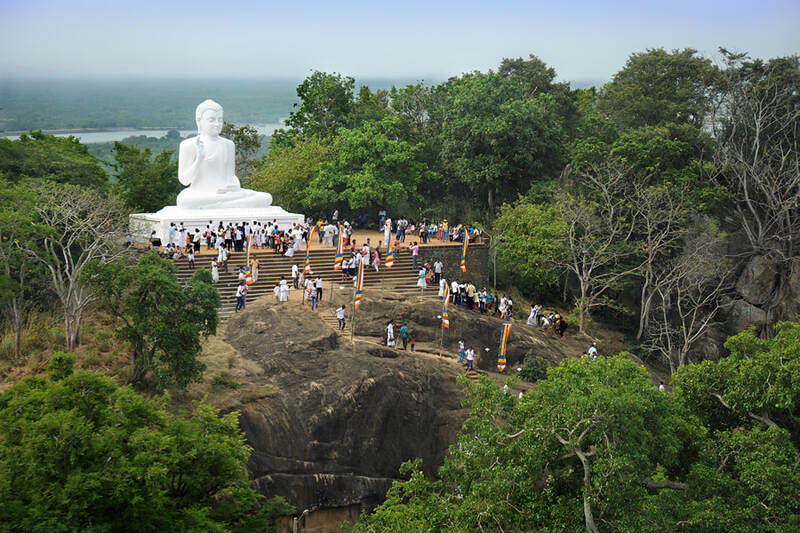 "Mihintale" means "Mahinda's plateau" or "Mahinda's mountain saddle", Mahinda being the name of the missionary who introduced Buddhism to the Anuradhapura kingdom. 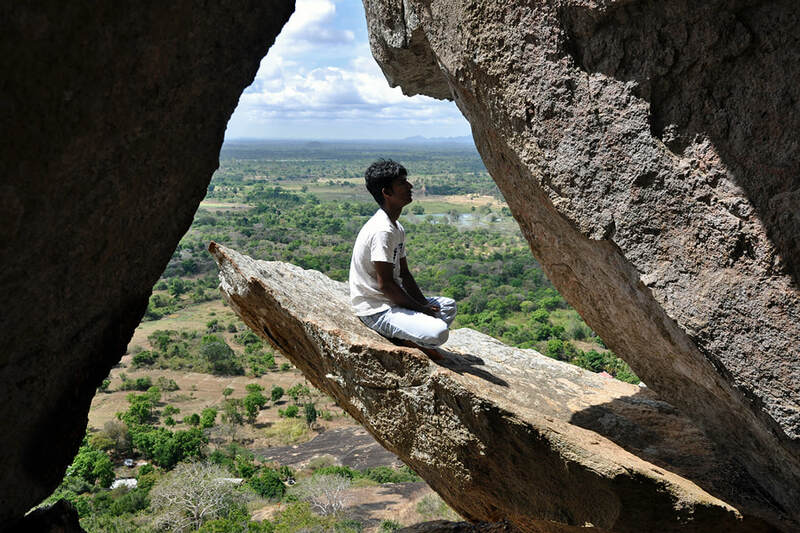 The word "Mihintale" is stressed on the second and on the last syllable. 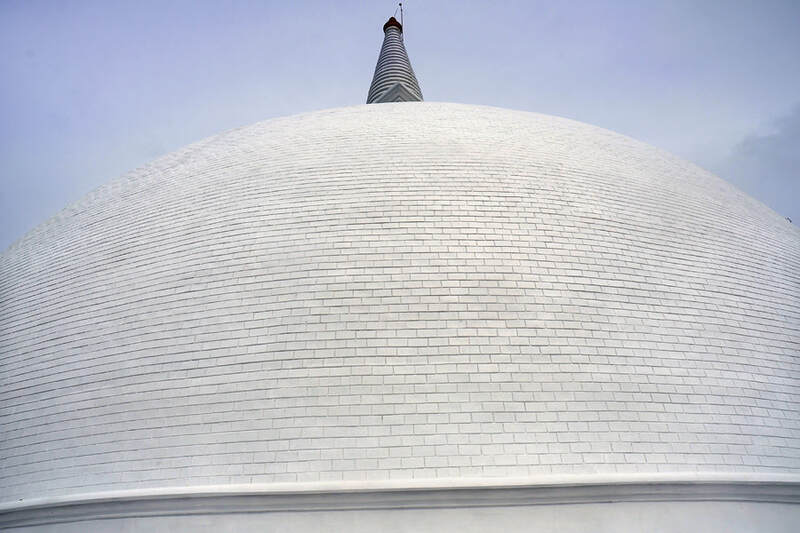 Another spelling is "Mihinthale"; but in contrast to most other Indian languages, "t" and "t with h" are not pronounced differently in modern Sinhala, since native Sinhalese people do not use aspirated consonants in their spoken language any more. 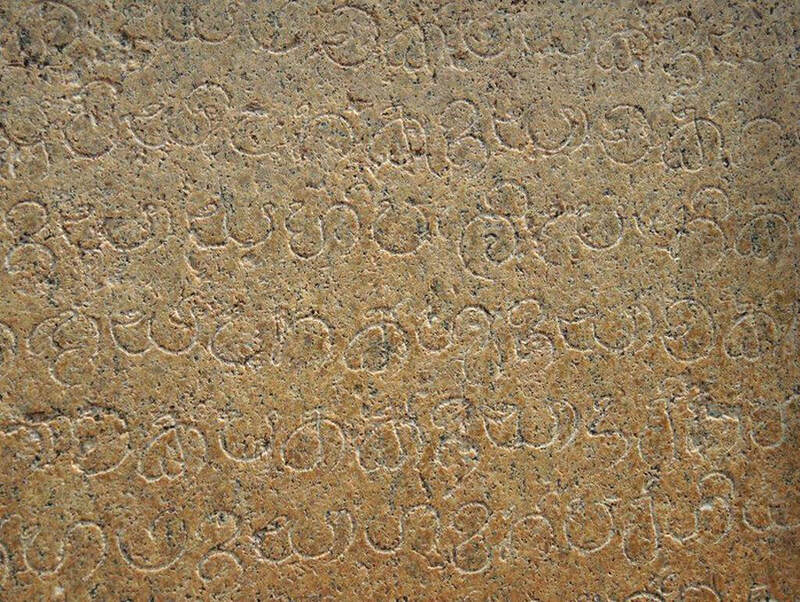 Other transcriptions of "Mihintale" are "Mihintalai", "Mintalaya", "Mihintalava" or "Mihintalawa". 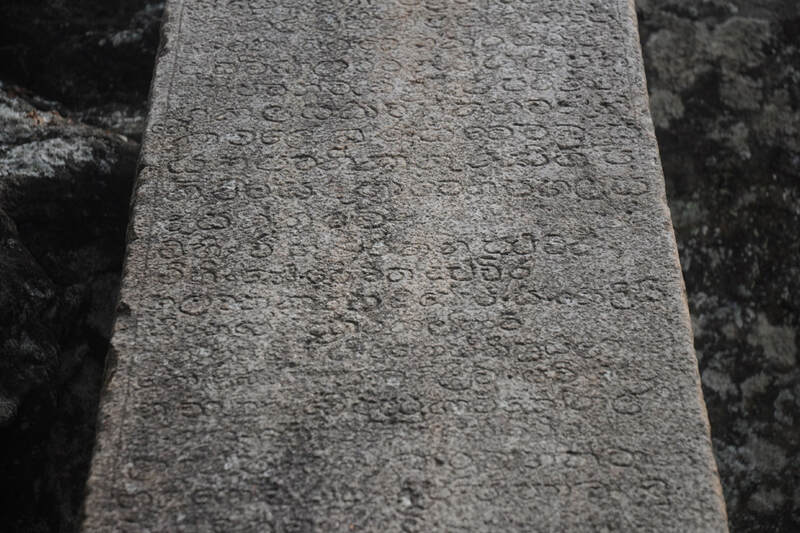 The Sinhalese endings transcribed as "aya" or "awa", are transcriptions for a long vowel, which can be pronounced "e" or "ae" as in the case of "Mihintalava" or "aa" or diphtong "ai" in other words. 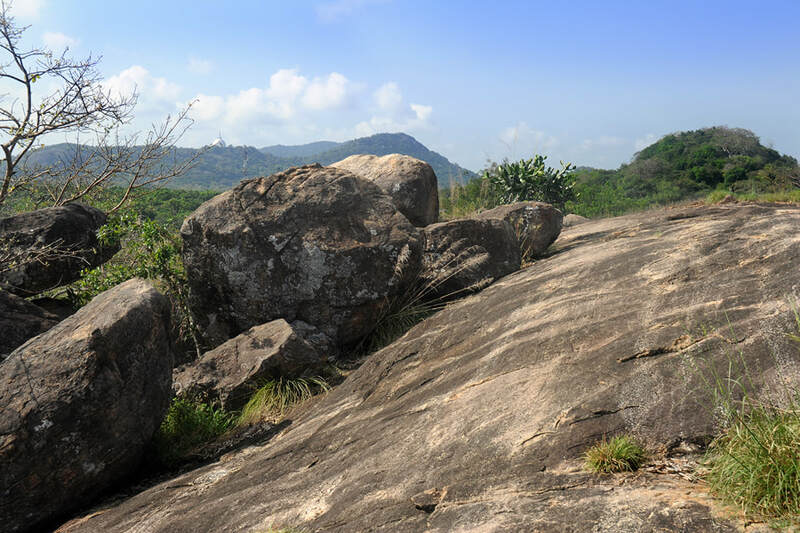 In the ancient chronicles Mihintale was known as "Missakapabbata", which translates to "forested hill". 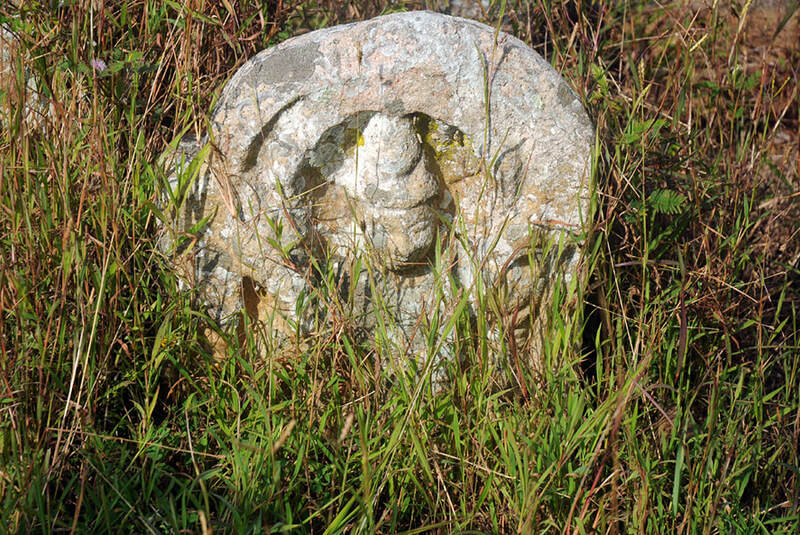 Since the establishment of the Buddhist religion on the island Mihintale was known as "Chetiyapabbata" in the Pali chronicles. 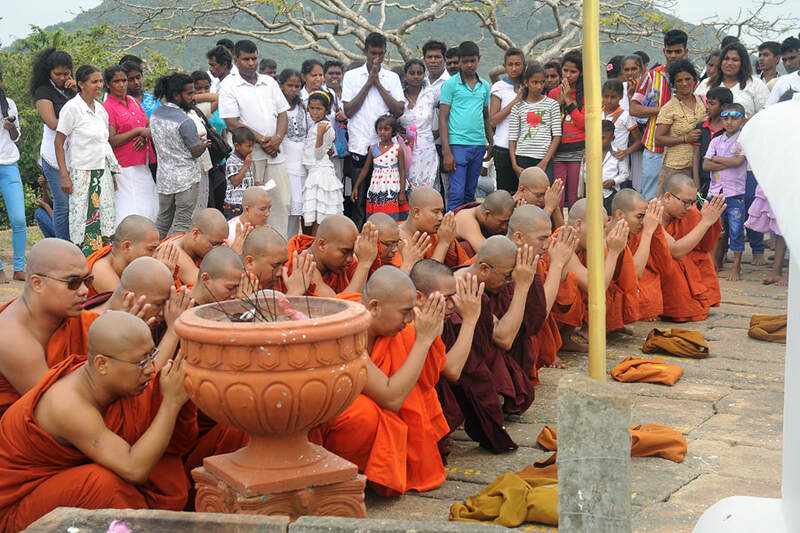 According to the 13th chapter of the Mahavamsa, Monk Mahinda and his comrades from India arrived in Mihintale 236 years after the passing away of the Buddha. 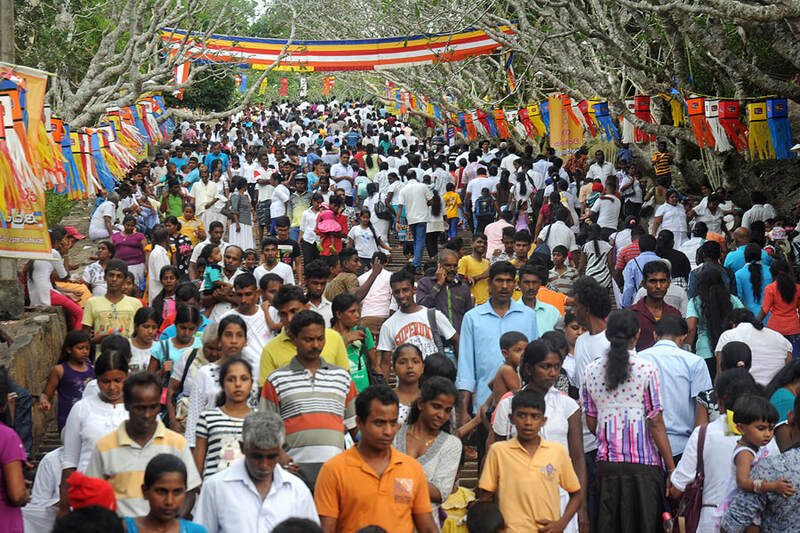 The 14th chapter narrates, that Mahinda met the king from Anuradhapura in Mihintale and converted him and 40.000 subordinates almost instantly. 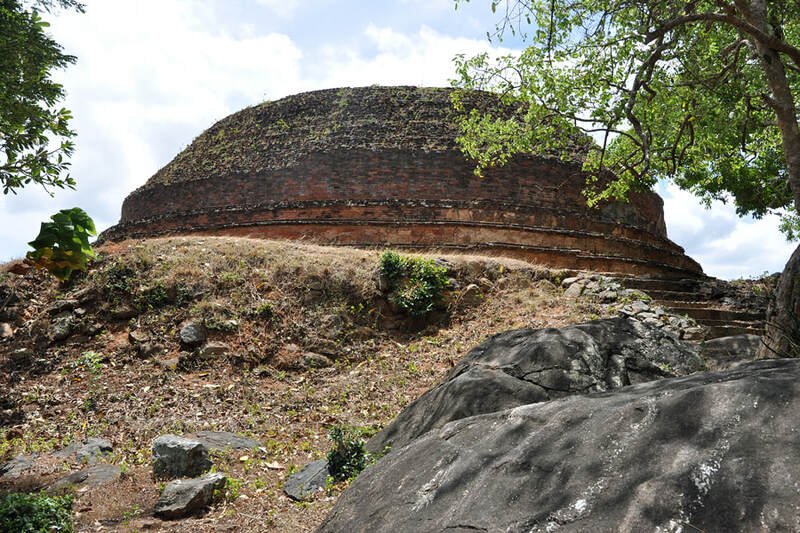 The 14th and 15th chapter give a detailed account of the establishment of the Buddhist order in the capital Anuradhapura. 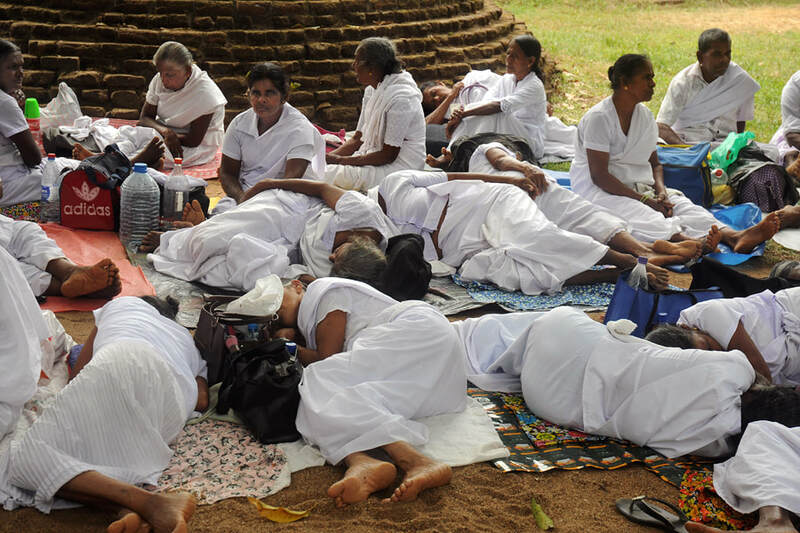 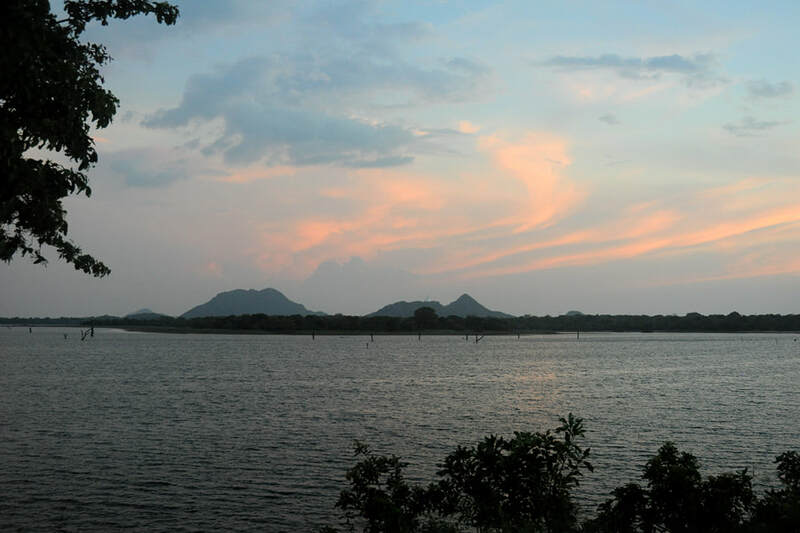 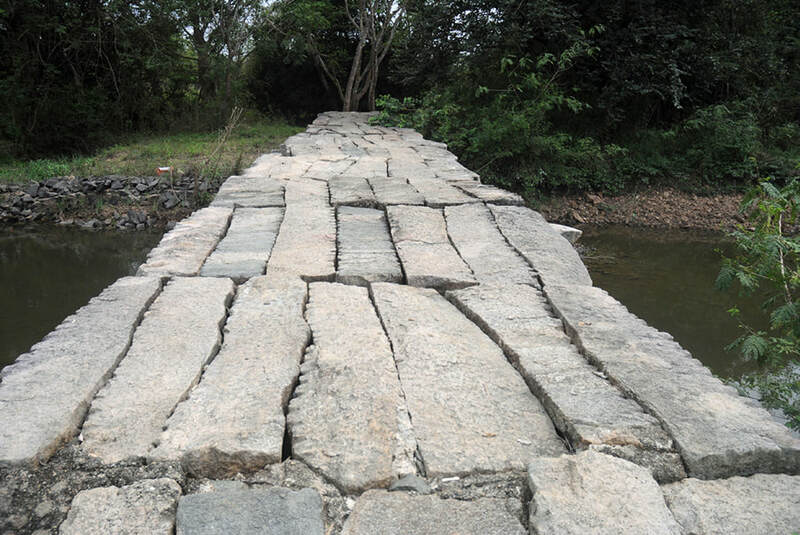 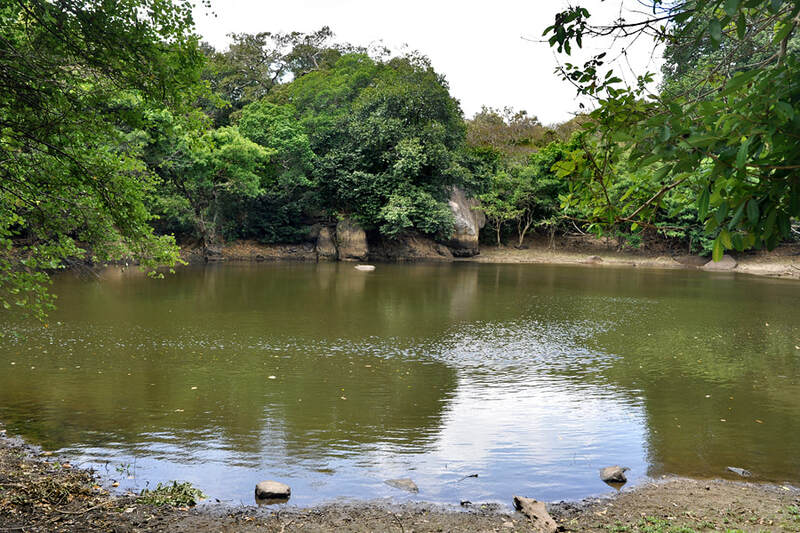 According to the 16th chapter, Mahinda and his comrades, though practicing in Anuradhapura, chose Mihintale as their retreat during the rainy season. 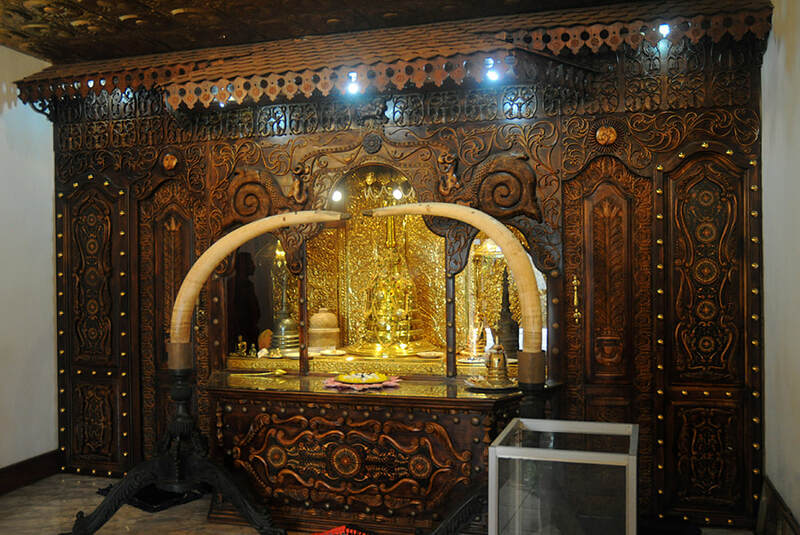 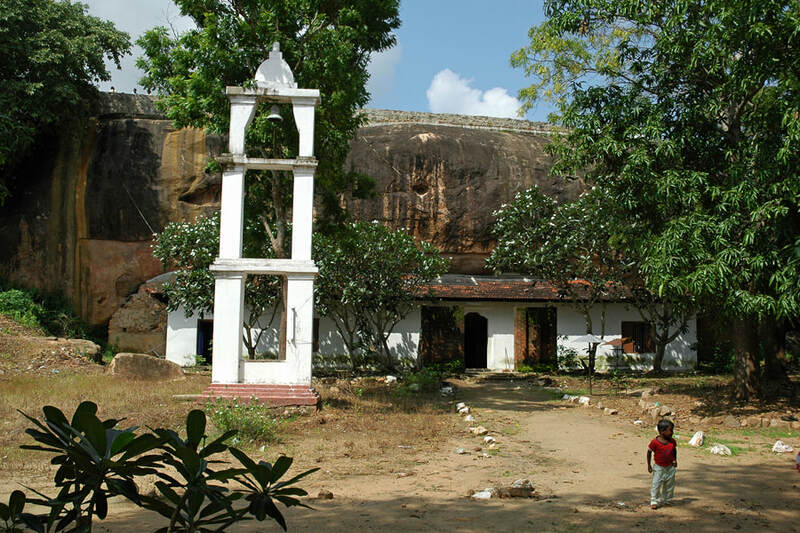 Thus Mihintale has been a consecrated place sinde the 3rd century B.C. 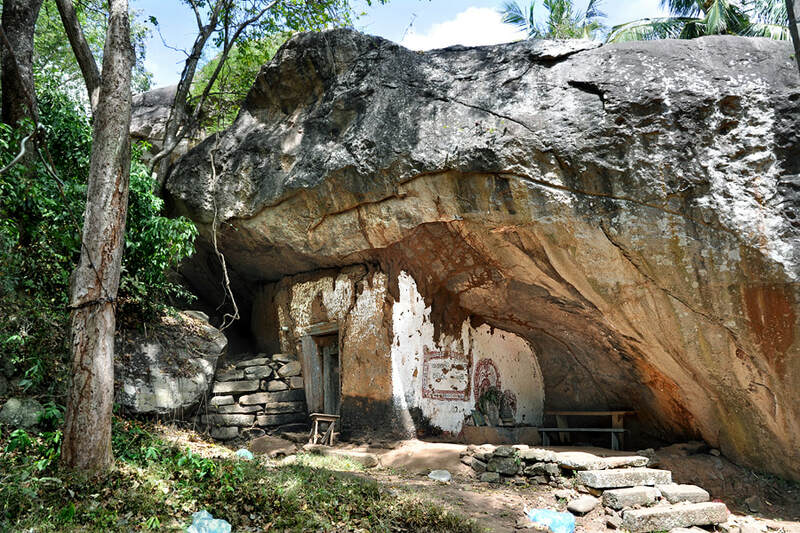 At the outset the monks settled under natural rock shelters. 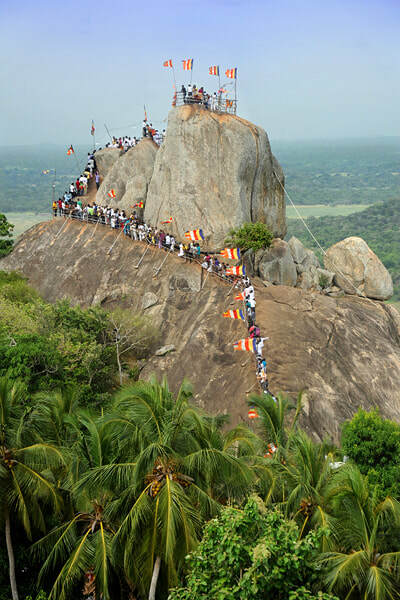 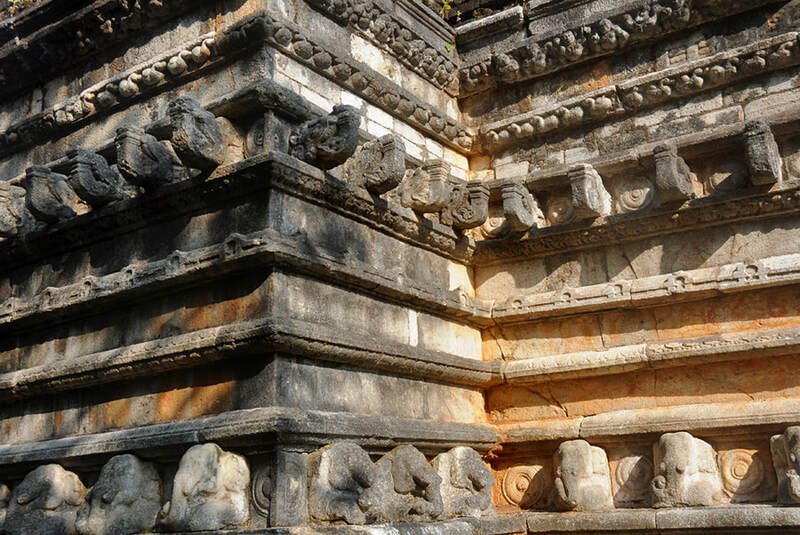 King Devanampiya Tissa is said to have sixty eight rock cells at Mihintale made habitable and to have gifted them to the monks on the full moon month of Esala, that falls within the months of July or August of the Gregorian calendar. 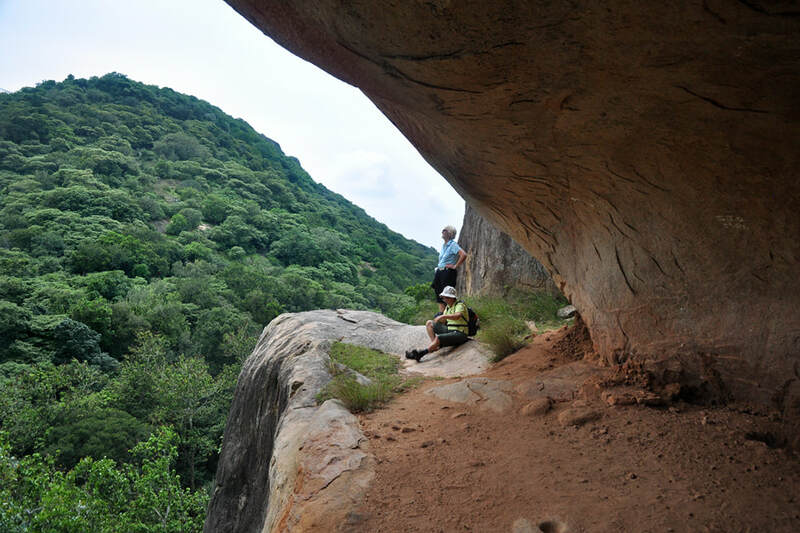 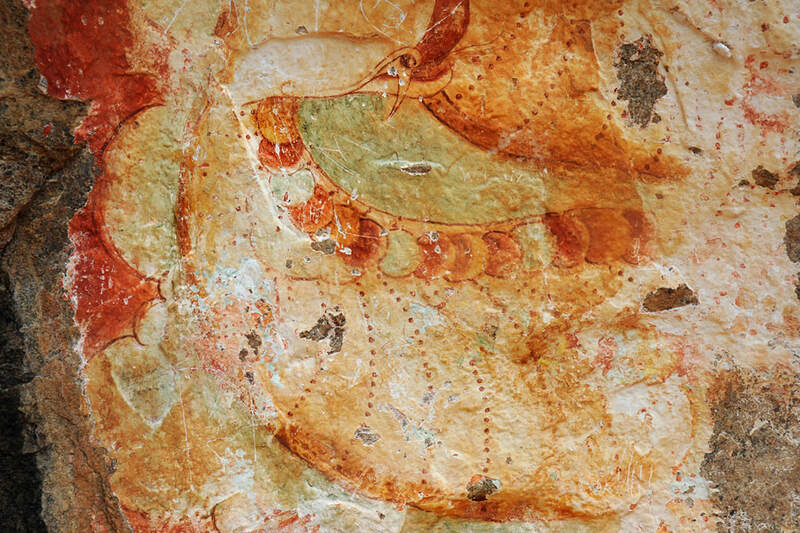 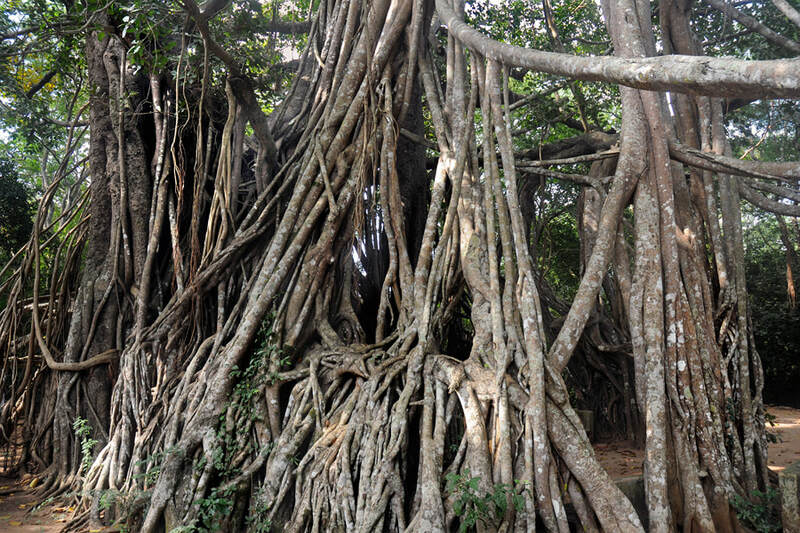 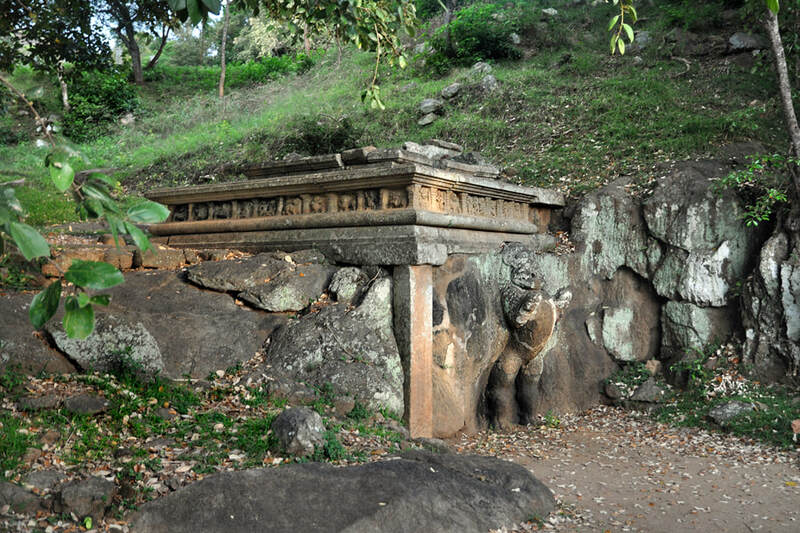 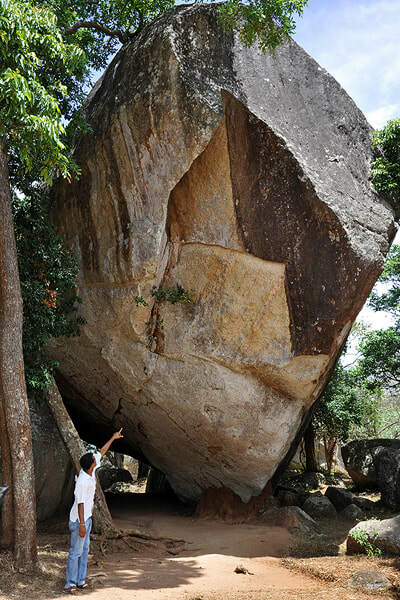 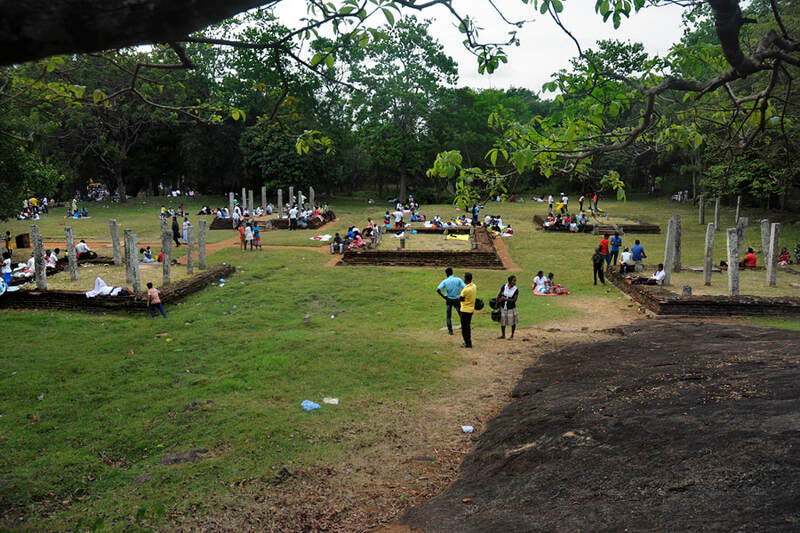 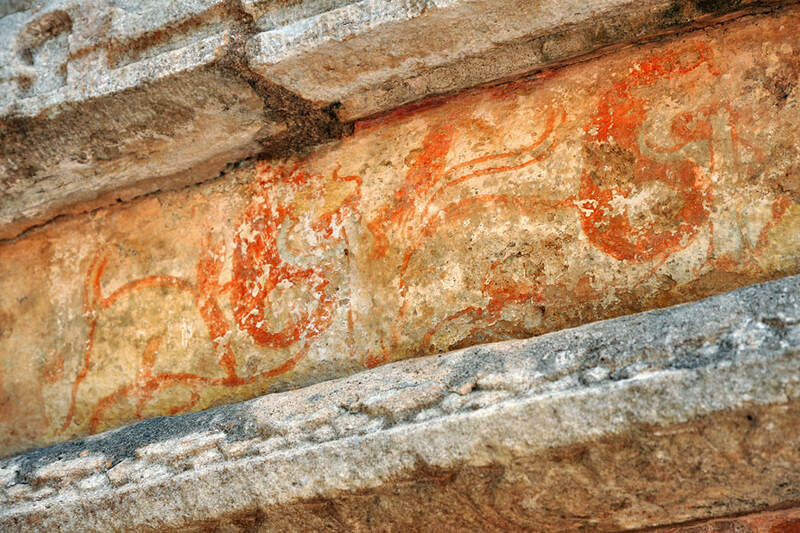 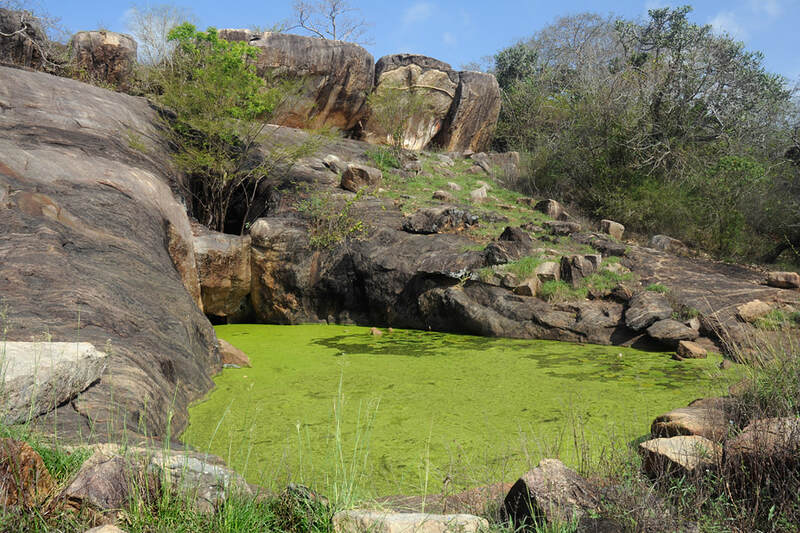 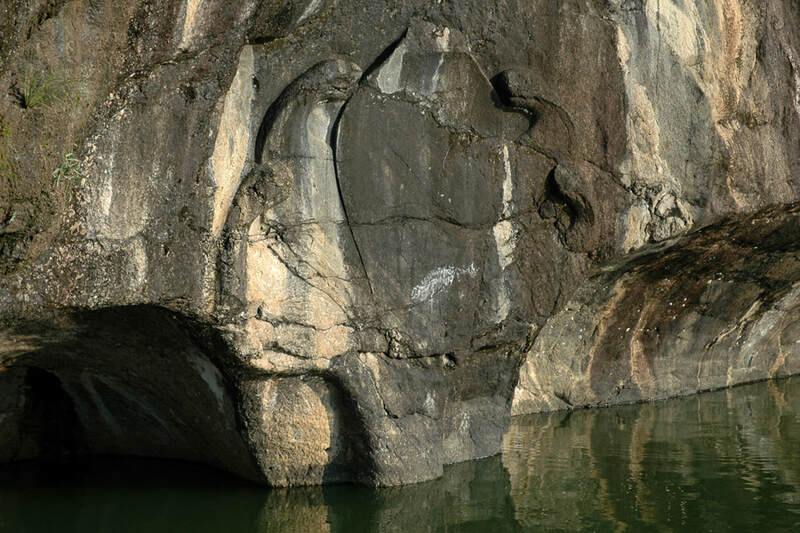 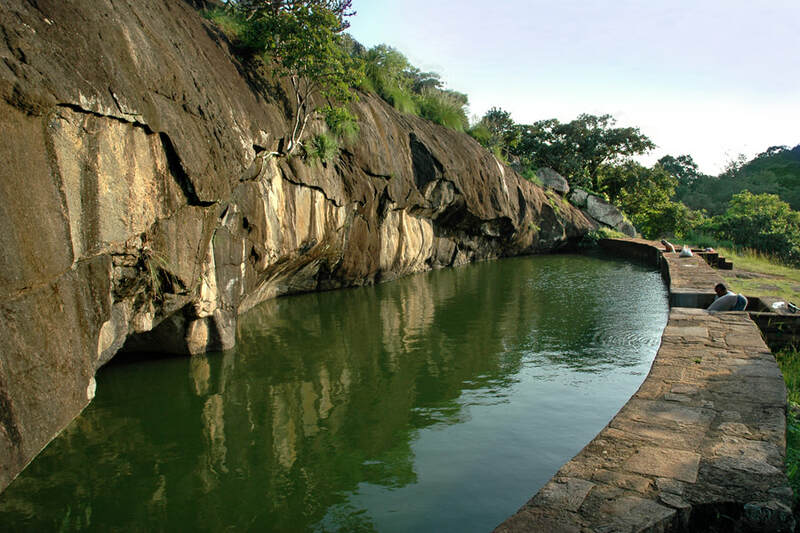 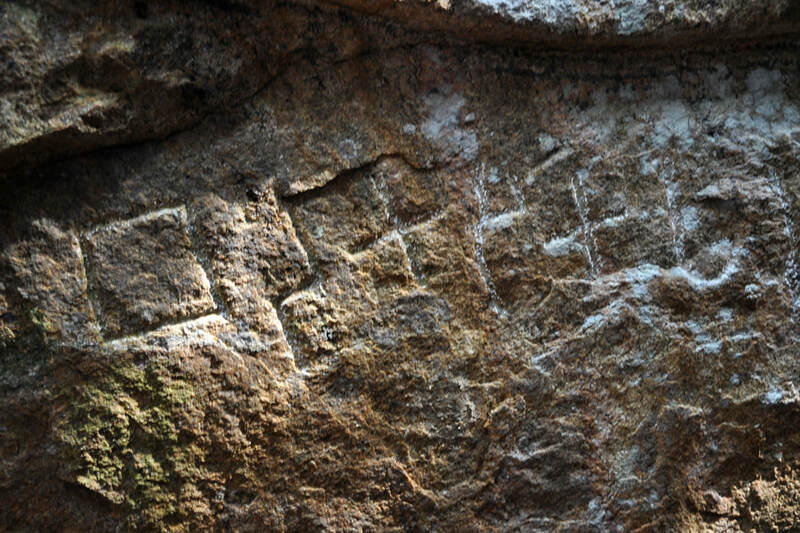 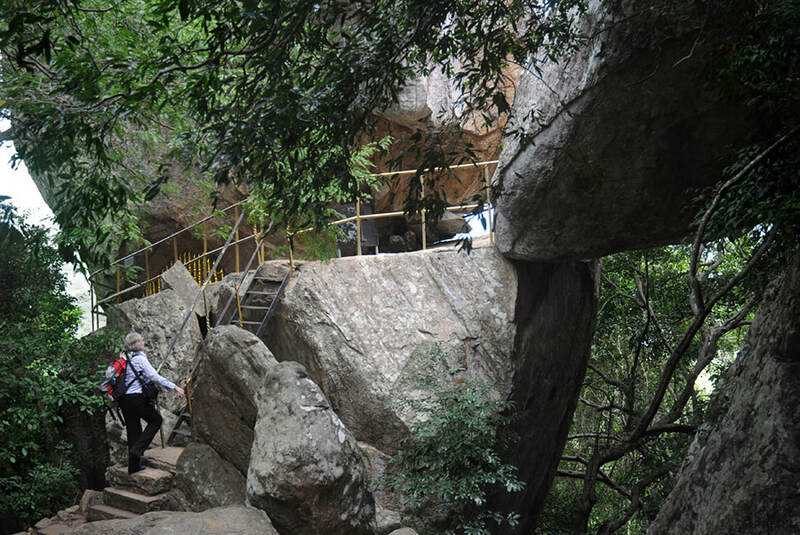 Mihintale is the finding place of some of the oldest rock inscriptions in Sri Lanka. 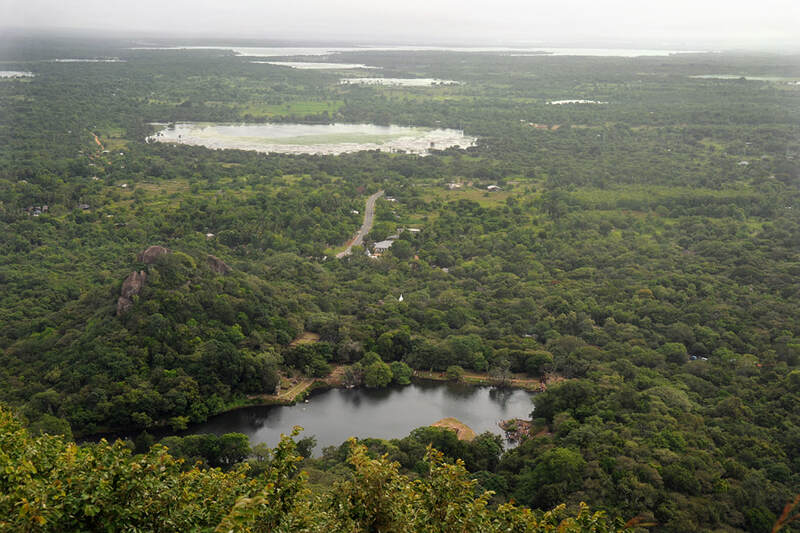 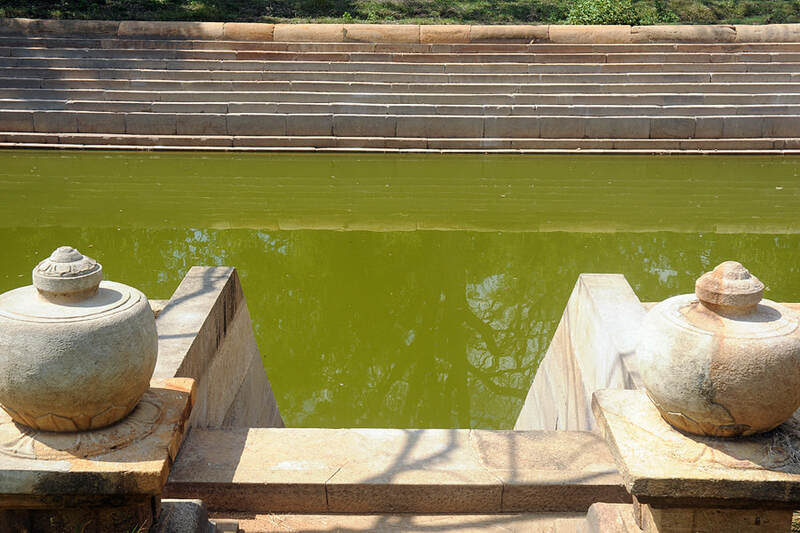 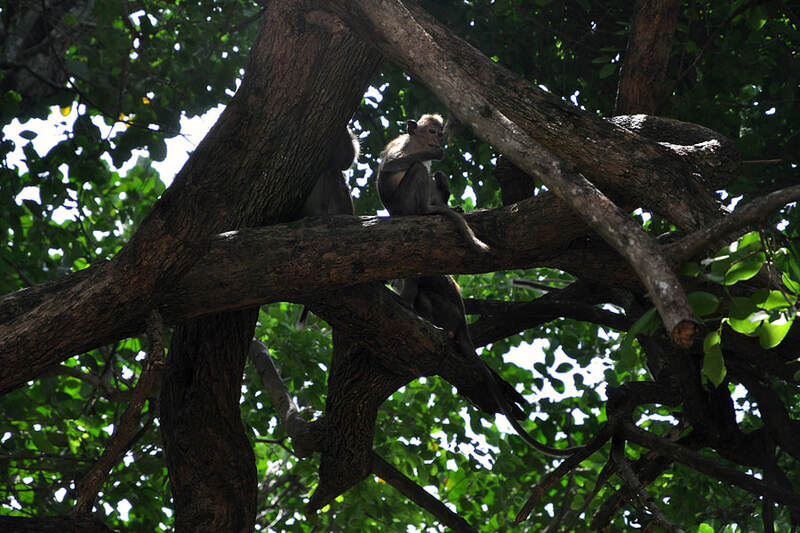 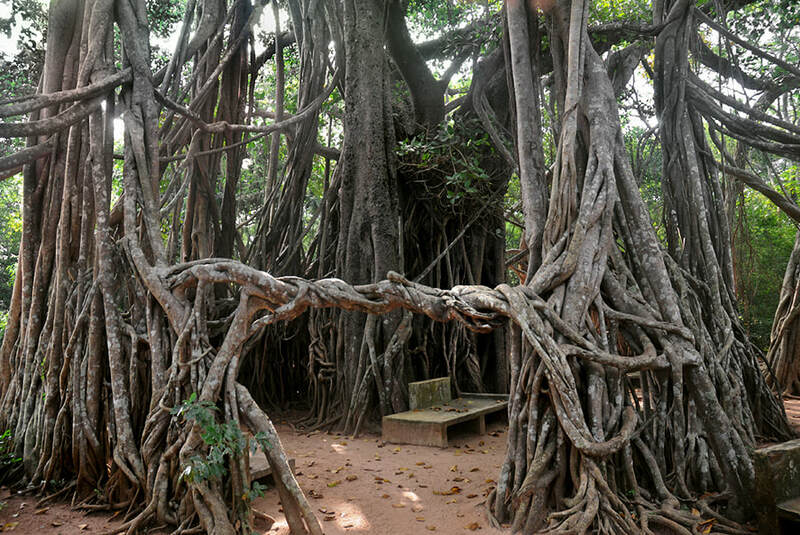 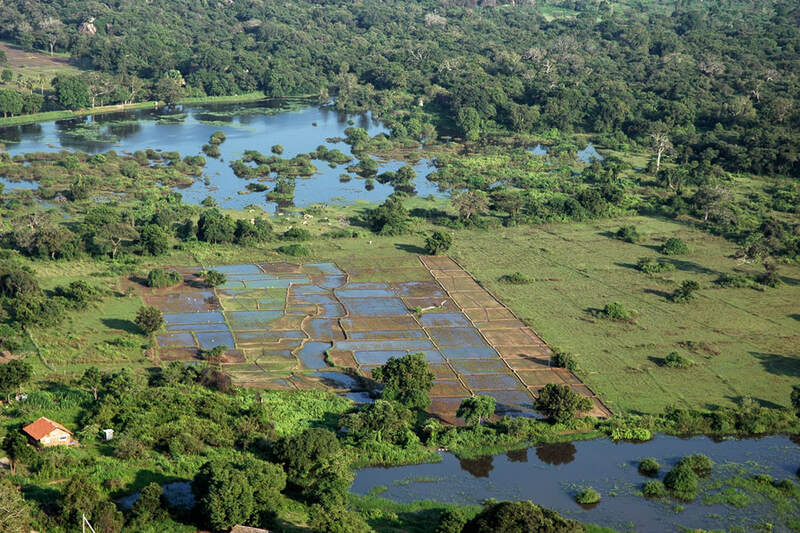 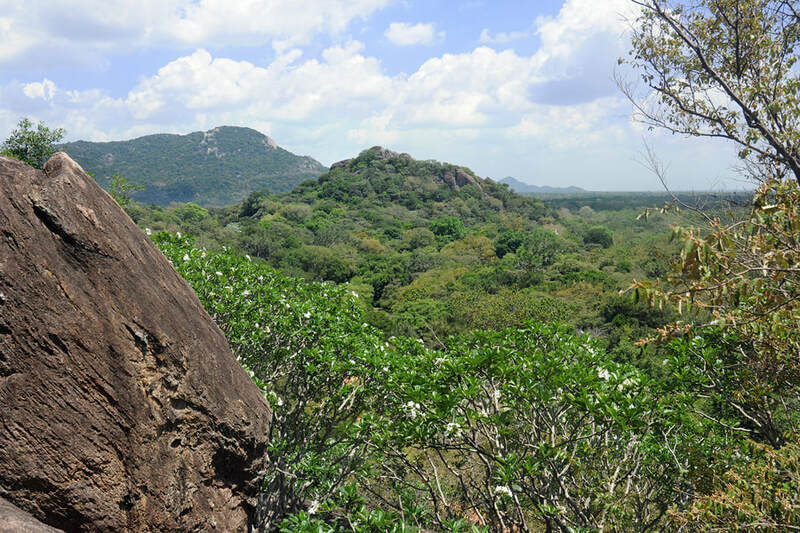 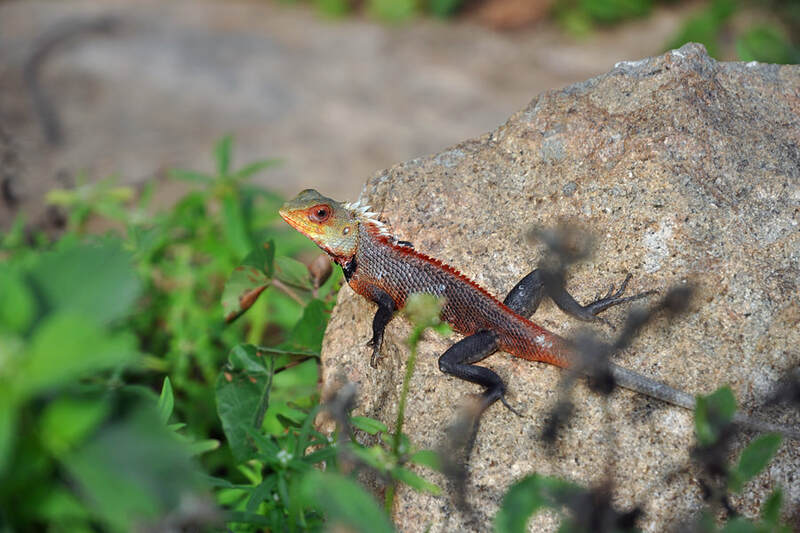 Having been a hunting ground for the Anuradhapura kings previously, Mihintale from now on was a sanctuary, disturbing animals was prohibited, some say: it's the world's first wildlife reserve. 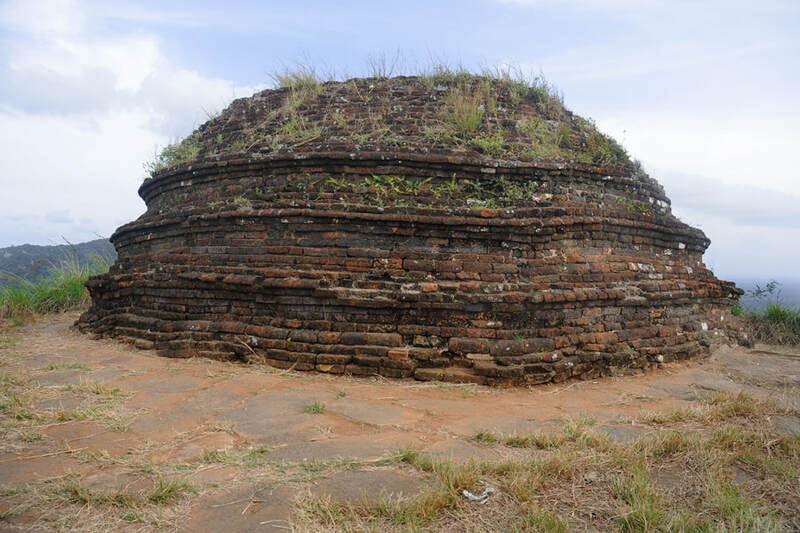 According to the chronicles, a stupa was piled up at the burial ground of the first Buddhist missionary, Mahinda. 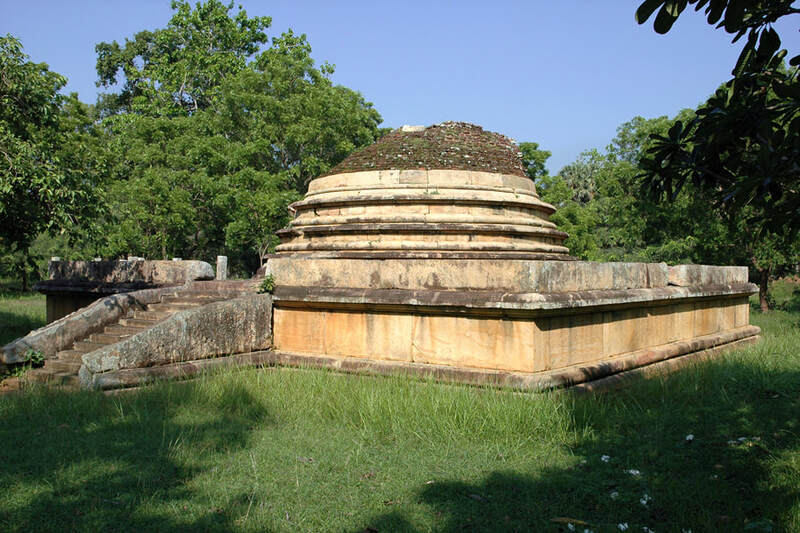 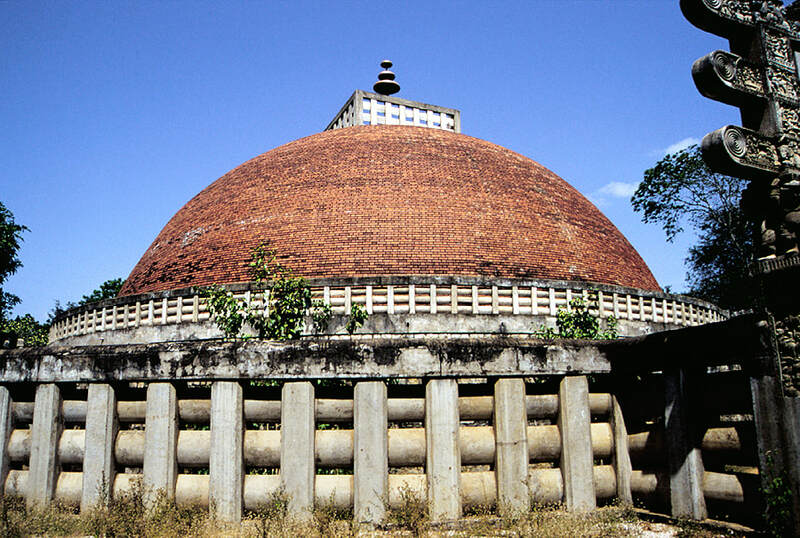 Achaeological evidence confirms that at least two stupas, Kantaka Chetiya and Mihindu Seya, date back to the very early times. 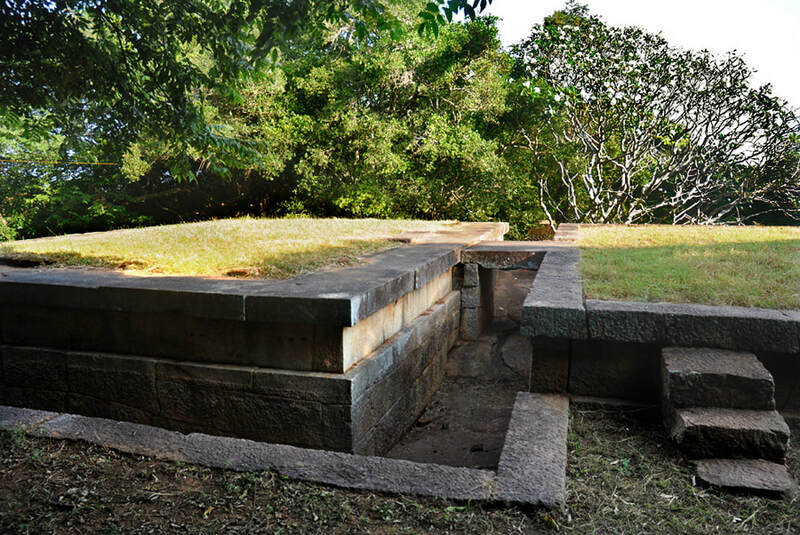 This is why the sacred area was therefore called "Chetiyapabbata" by the Buddhist authors of the Pali chronicle, "pabbata" translates to "hill". 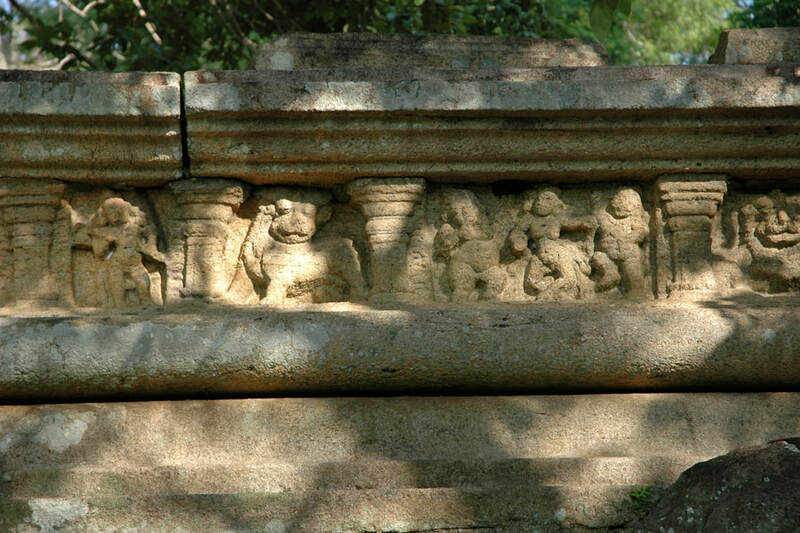 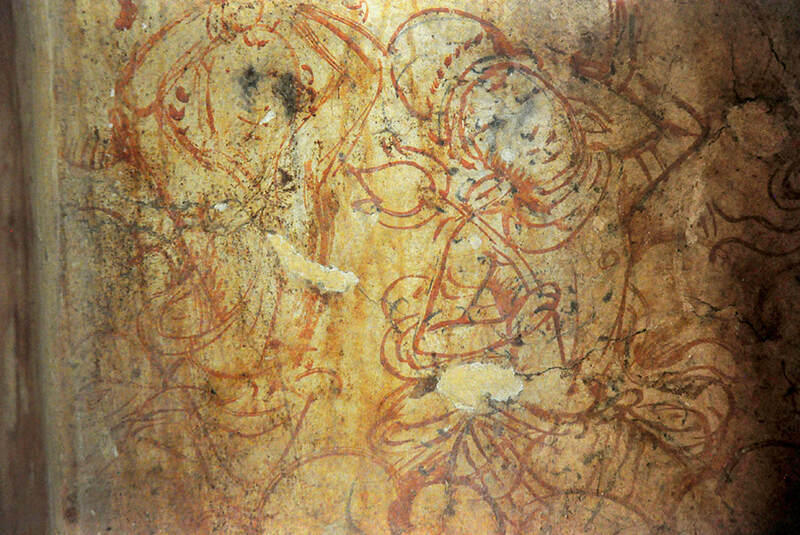 The story of of the arrival of the Elder Mahinda in Mihintale is also chronicled in the Dipavamsa, which was composed one century prior to the Mahavamsa. 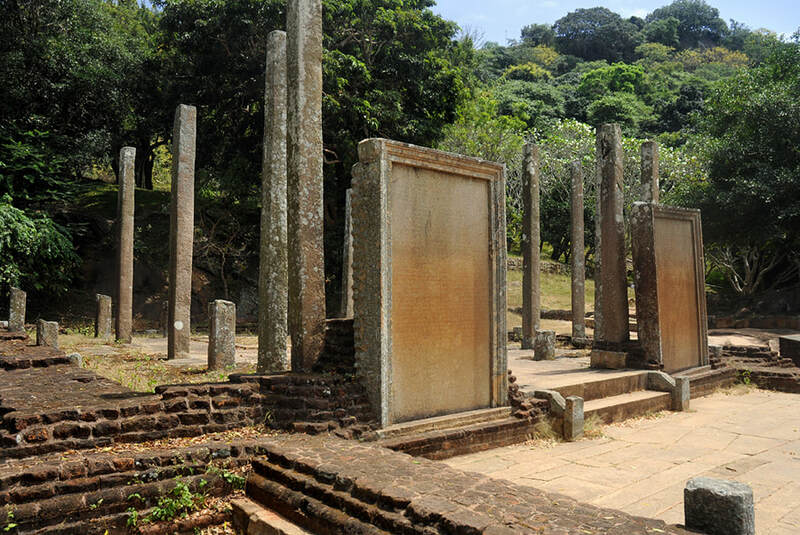 The chronicles written in Pali, the holy language of Theravada Buddhism, used sources which, centuries earlier, had been drawn up in the local language, which was called "Sinhala" already by those early Buddhist scholars. 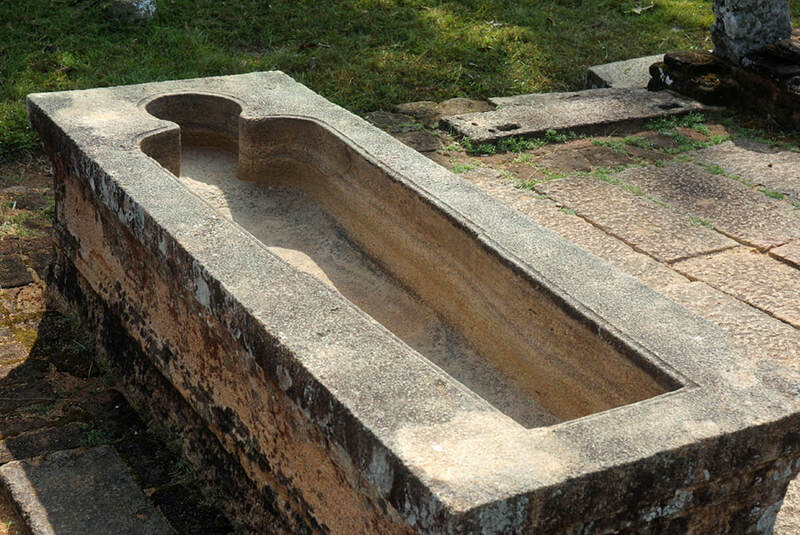 Regrettably, the original Sinhala sourcebooks have not survived, Mahinda's story is also mentioned in the Samantapasadika, the most renowned commentary on the Vinaya Pitaka, which is the first part of the Buddhist Scriptures. 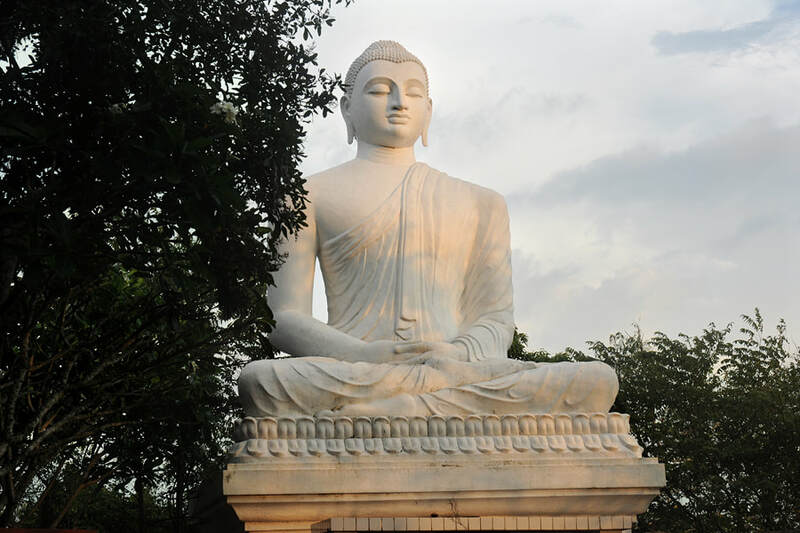 The auhor of the Samantapasadika is the classic teacher of the Theavada doctrine, Buddhaghosa, who lived in the 4th century and spend most of his life as a monk in Anuradhapura. 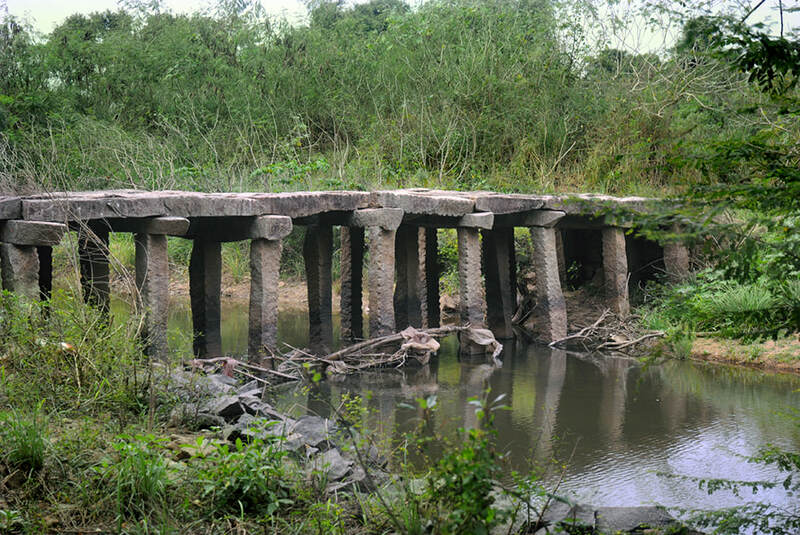 Parts of the Samantapasadika are taken from the Dipavamsa. 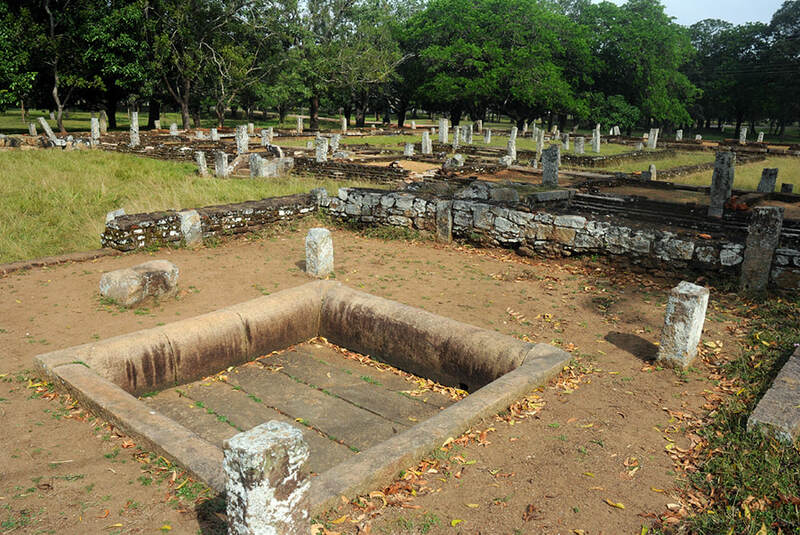 The chronicles and commentaries report, that Monk Mahinda was the son of India's Emperor Ashoka. 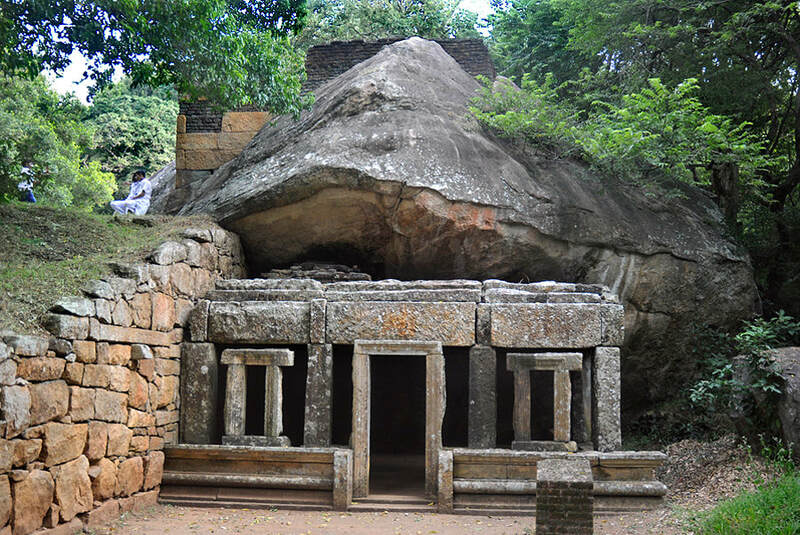 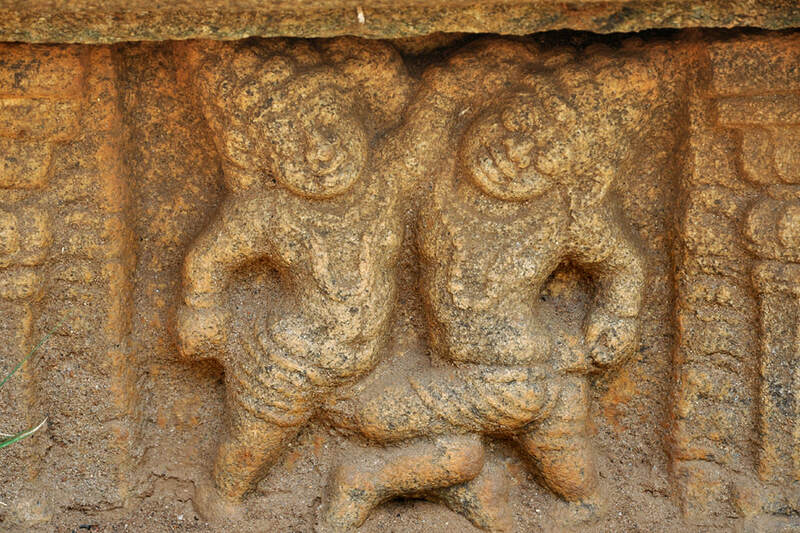 However, Ashoka's rock and pillar edicts do not mention his son's mission to Tambrapanni, which then was Sri Lanka's Indian name, mentioned in the 2nd and in the famous 13th edict. 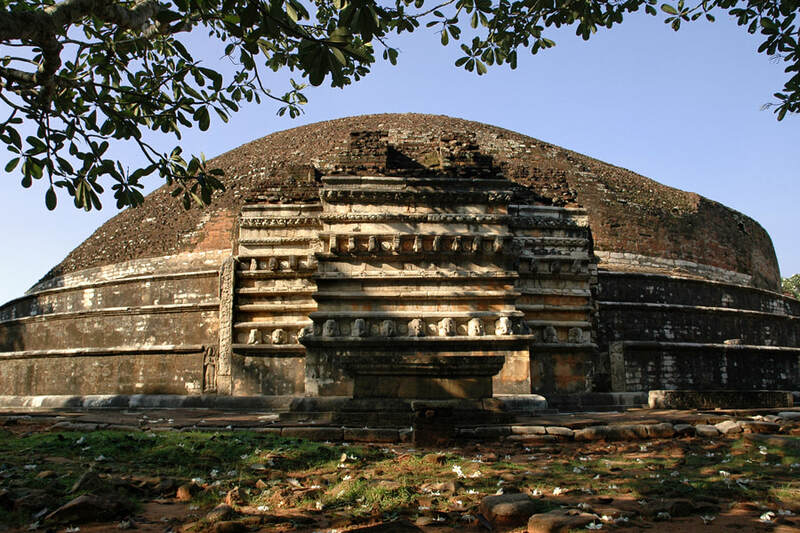 The 2nd century Sanskrit narrative about Ashoka called Ashokavadana, which is not a chronicle but an educational book and which heavily influenced the Ashoka legends of East Asia, does not mention Mahinda (Pali) or "Mahendra" (Sanskrit) or "Mahinda form of as the name of a son of Ashoka. 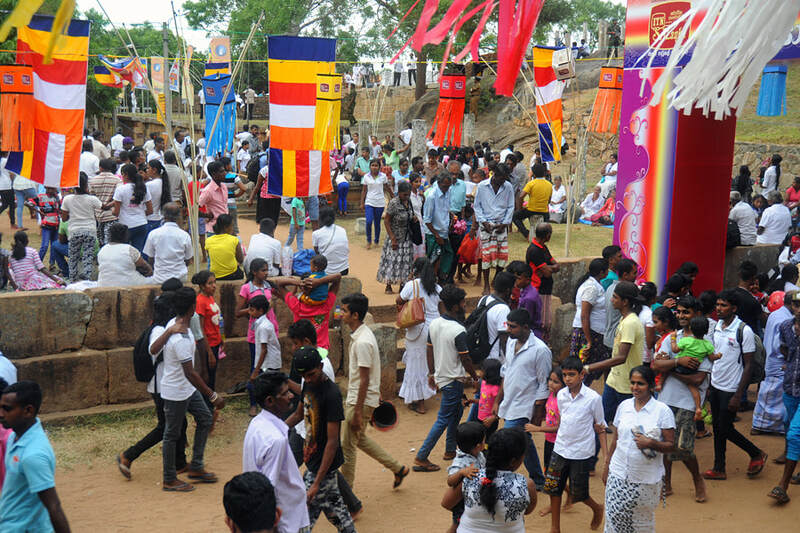 When he had spent a hundred thousand for the Cetiya-vihara, he commanded that at the (consecration) festival of the vihara called Girikumbhila the six garments be distributed to sixty thousand bhikkhus. 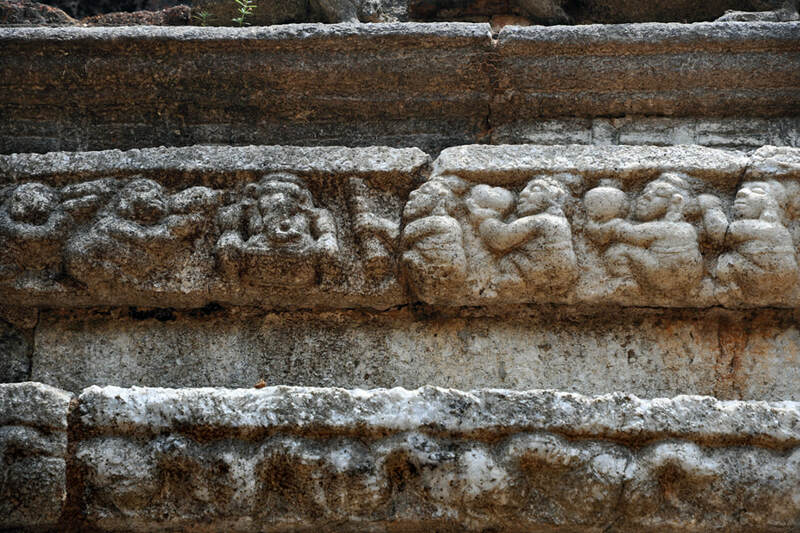 What is the meaning of "Et"
What is the meaning of "Vehera"?